Late on a Saturday night, a fire in the kitchen of a popular restaurant results in almost a million dollars in damages. Fortunately, there is no loss of life or serious injury. Fire department officials think that a grease fire was most likely the cause of the blaze, but the investigation is ongoing. Students assume the role of the fire chief leading the investigation as they gather facts for the insurance report they must write about the fire. 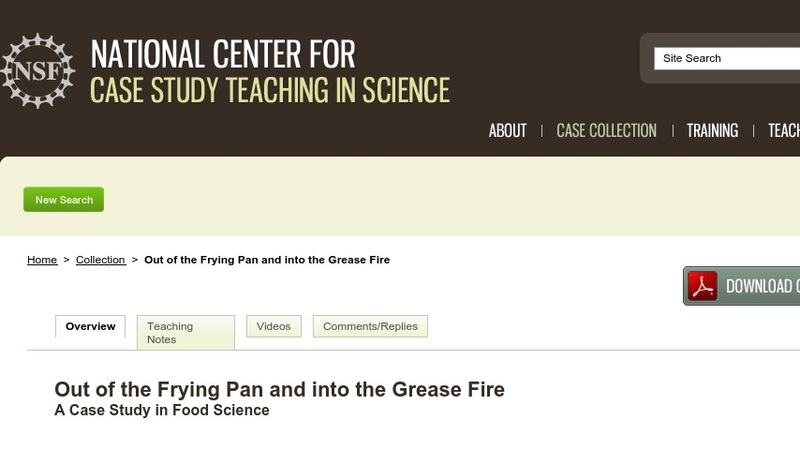 The case was developed for a course in food chemistry taken primarily by food science and dietetics students. It could also be used in a hotel and restaurant management program.